I am a mascara junkie. I love the finishing touch mascara gives my looks and when I'm having a good lash day I am totally in love with my lashes. I have been taking good care of my lashes the past few months and that resulted in long and mostly curly lashes (my inner lashes are still being stubborn). And when I coat them with mascara, it gives me that happy feeling like putting the cherry on a cake. That is, when I am using a mascara that works for me. A few weeks ago I started using the Lancôme Hypnôse Drama and if you want to know if it works for my lashes, keep on reading! Since the beginning of this year I am using combinations of mascara. The combination of mascara is switched up every three months. I first opened a mascara and after three months I felt like it was too soon to toss it out and I decided to open up a new one and use the old one on top until I hit the 6 month-mark of until it dried out in the meantime. Mascaras tend to last very long with me. I often hear friends say that mascaras dry out and such before even reaching 3 months of use, but I never had that problem. They're most of the time as new after three months and to toss them out.. I can't do it. On the packaging it says that mascaras after opening you have to toss them out after 6 months and that is more reasonable for me. So that's how and why I the combos of my mascara are different after three months. I have used a Lancôme mascara before and I have to admit that I didn't really like it. I bought this one because I was talking to a friend about mascara and she said she once used the Lancôme Hypnôse and she loved it. 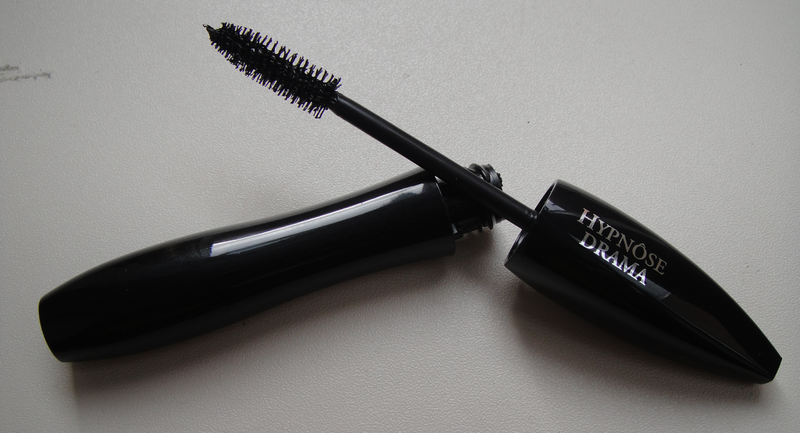 So I decided to buy the Hypnôse Drama (logic), because I love volume in my lashes and I thought this one would give "dramatic" volume. So, the mascara. It has a typical Hypnôse mascara packaging. The same as the Hypnôse, without any print on it, like the Doll Eyes version for instance, but on the cap. On one side it says Lancôme and on the opposite side it says Hypnôse Drama. I don't think it's the most beautiful packaging, but since it's so iconic for Lancôme mascaras I "accept" it and somehow it does look luxurious and a bit mysterious. The brush has kind of a S-shape to it. The curled brush makes it easy to cover up pretty much your entire lash line with one swipe and lift your lashes. The bristles of this wand are made of nylon I believe (like the old style mascaras) and they're pretty soft. The bristles ON the curl of the wand are shorter than the bristles on the sides. What I do is slap a thick layer of mascara on my lashes with the short bristles (put my lashes IN the curl of the wand) and use the longer bristles to separate my lashes. Initially I didn't like the formula of the mascara at all. Not when I started using this mascara and not when I used the one I had a few years ago. I bought the Ôscillation. The formula was wet and it instantly dragged the curl in my lashes down and even made my lashes stick down a bit... I have to say back then my lashes were also long, but not curly. And when I curled them the curl never really stayed, not even when I was using a waterproof formula. It instantly remove my curl. But now I condition my lashes and they look much better and have a curl to them, probably because of sleeping with my blanket in my face. Anyway, the formula of the Hypnôse Drama reminds me of the formula of the Ôscillation, it's very wet and it leaves a good coat of mascara on your lashes. 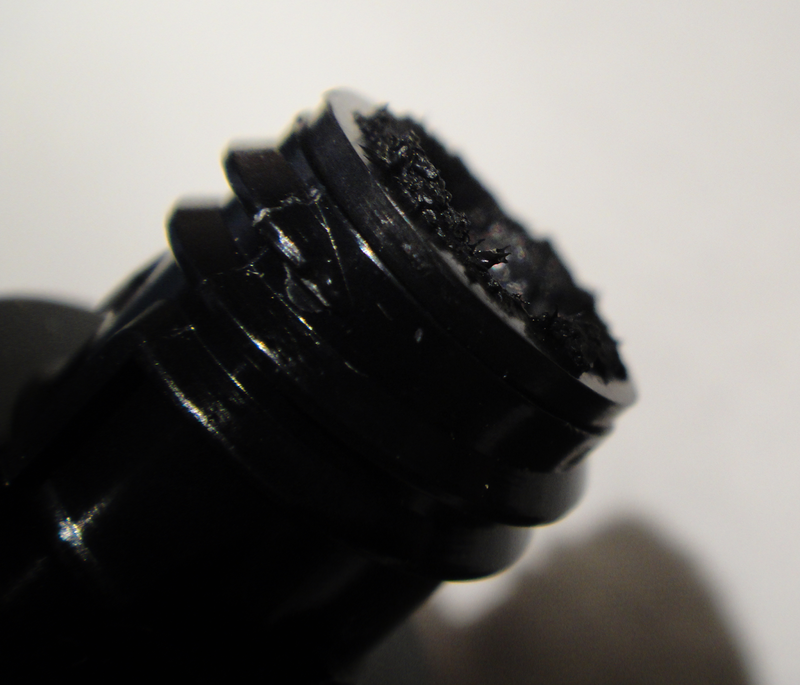 When I first applied it I didn't really like it, because it was so wet, it was hard to build up two layers of mascara. But after a few days the mascara dried out a bit and it applied like a dream! 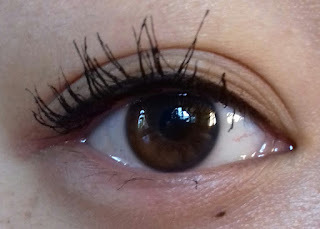 It coats my lashes with a pretty thick coat of mascara and the volume is buildable. 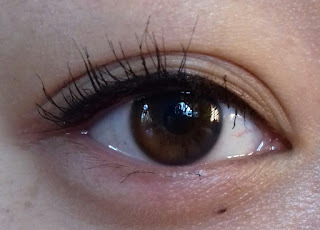 It does not look clumpy at all and it almost makes my lashes look like falsies, if only they were a bit fuller. Because the formula is so wet it does take up a little extra time for it to dry, so be careful with excessive blinking after applying. Because of the longer drying time it is easier to build the desired volume without clumps. I have the black one and this mascara makes my lashes look long, full and black! The bristles are soft, like I said before and when you accidentally hit your upper waterline with the brush it feels more like a massage than something hard touching your eyes. And actually there's three things I don't like about this mascara with the other thing being the price. When you're paying the full price is more than 30 euros! That is a lot of money for a tube of mascara that contains 6,5 ml, which isn't a lot. 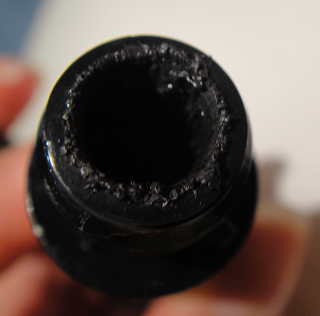 Most drugstore mascaras contain about 10 ml. I somehow don't have a picture without mascara. 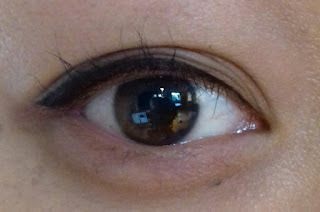 I added a picture of my eye with similar eyeliner, so you have an impression of how my lashes look without mascara, but with eyeliner. This is how my lashes look with literally one swipe of the Lancôme Hypnôse Drama. And this is how my lashes look with two coats. It's a very volumizing mascara and my lashes do clump up together more compared to the Maybelline the Rocket Volum' Express, but I don't mind a bit of clumping, as long as I'm not left with five lashes on each eye. Don't forget that after this mascara I add a coat of the Rocket and that that mascara separates my lashes really well. I really enjoy using this mascara and every day I am looking forward to apply mascara, yeah, I'm a bit weird.. I think the pictures don't do the mascara 100% justice, but I love the way it makes my lashes look in real life! What is your favorite mascara at this moment? Let me know!